At the Centeno-Schultz Clinic we acknowledge the pain and restriction in range of motion associated with thumb arthritis. Is there medical evidence that surgery for thumb arthritis is better than no surgery? NO! The latest large review of medical studies by Wajon contained little information that compared thumb surgery to non operative treatments. Of note was the fact that participants who underwent trapeziectomy with ligament reconstruction and tendon interposition, 22% had adverse effects. Adverse effects included scar tenderness, tendon adhesion or rupture, sensory change, or Complex Regional Pain Syndrome. Have stem cells been used successfully? Yes! Stem cell therapy is an alternative to traditional thumb surgery. We just had a paper accepted for publication which examined the benefits of culture expanded Regenexx in the treatment of thumb arthritis. This is a prospective, case series with Six OA patients and four controls. The mean reported pain relief was significantly higher +60%. If you have thumb pain consider your options carefully. Apoptosis is the process of programmed cell death. The process is controlled by a variety of factors both within and outside of cells. High dose steroids have been demonstrated to create cell death in muscles, bones, cartilage and ligaments. High dose steroids are commonly used to treat a variety of painful conditions which include rotator cuff tears, lateral epicondylitis, patellar and Achilles tendonitis, pes anersine bursitis, lumbar facet dysfunction and sciatica. At the Centeno-Schultz Clinic we acknowledge the negative effect of high dose steroids. Our aim is to identify the source of a patient’s pain and provide a therapy which will attempt to repair the damaged tissue. Our treatments are not aimed at advancing the degenerative process or triggering apoptosis. Accordingly we use only very small doses of steroids when necesary and have a large number of regenerative therapies which promote healing: prolotherapy, platelet rich plasma (PRP), Regenexx SCP, Regenexx AD and Regenexx SD. Platelet rich plasma, prolotherapy and autologous stem cells are non-surgical treatments for shoulder pain. Clinical success is dependent upon selecting the appropriate treatment option and placing the solution into the targeted site. Ultrasound has become the standard of care at the Centeno-Schultz Clinic. 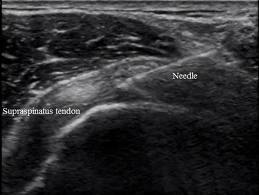 Ultrasound does not involve exposure to x-rays and provides a rich image of the bone, muscles, tendons and ligaments. It also allows for a dynamic evaluation whereby the patient is able to go through the activities that cause them pain. This is not the case with MRI’s given that they require a patient to remain completely still. MRI’s provide a static image of the shoulder which may not be helpful in some cases of impingement. This last weekend Ron Hanson M.D. was an instructor at a highly respected shoulder ultrasound course. We are very pleased to have Ron’s gifted clinical and ultrasound skills here in Denver/Boulder area at the Centeno-Schultz Clinic. Thumb pain can be disabling. A general understanding of the anatomy of the wrist and hand helps one understand possible sources of thumb pain. There are many bones in the hand but for this discussion we will limit it to two major groups: the carpals and metacarpals. The carpals are eight small small bones bound in two rows of four bones each. 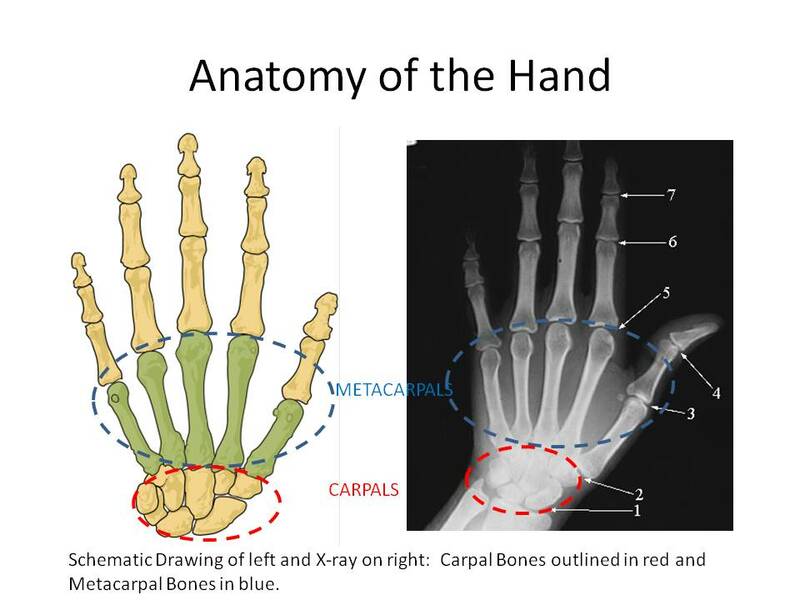 The metacarpals are five in number and make up our palm region. They lie between the carpals and the fingers (phalanges). 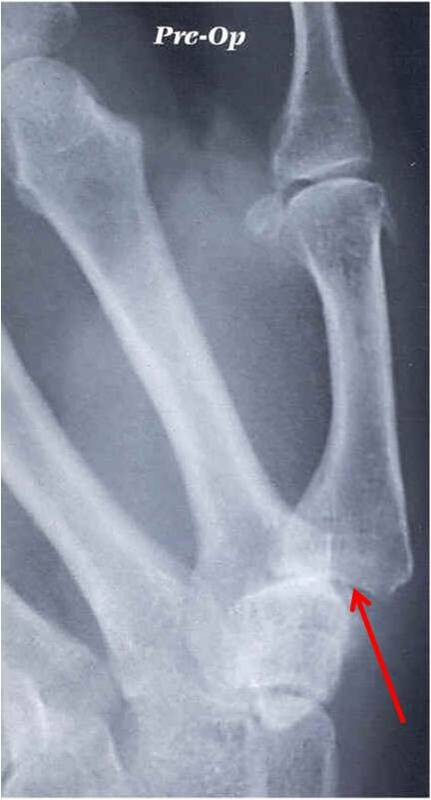 The joint space between the carpal bones and the proximal base of the metacarpals make up the CMC (carpometacarpal) joint. 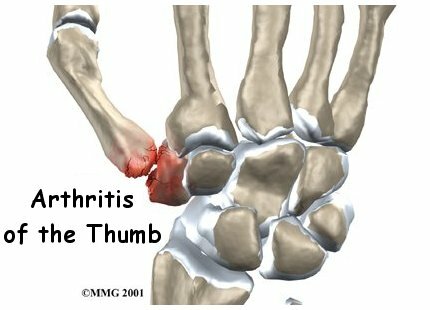 Thumb pain can occur when there is arthritis in the CMC joint. Other causes of thumb pain include tendonitis, DeQuervan’s tenosynovitis, peripheral neuropathy, peripheral nerve compression, brachial plexus injury, peripheral artery disease. Treatment options involve splinting, PT, rest and NSAIDs. Surgical options include fusion or prosthetic replacement both of which are major surgeries with moderate to poor outcomes. At the Centeno-Schultz Clinic other options exist which include prolotherapy, PRP and stem cell therapy. LK is 60 y/o patient who presented with a 1 year history of bilateral thumb pain, constant in duration, 4/1o in severity, progressive in nature localized at the base of the thumb. Pain was sharp and stabbing in character and preventing him from buttoning his shirt. Prior therapies had included a trial of NSAID and chiropractic care. MRI of the thumbs was significant for moderate to advanced arthritic changes at the base on the thumb(CMC joint). LK was told that surgery was his only option: fusion of one joint and tendon wrap at the other. Both surgeries are significant with extensive rehabilitation and poor outcomes. Patient elected to proceed with the Regenexx procedure which allowed him to use his own mesenchymal stem cells. At six months post injection of his own stem cells, LK reports a 90% reduction in pain and increase in range of motion. Friends and work associates have stopped asking him about his swollen thumbs. Buttoning a shirt is no longer an issue. Through the use of his own stem cells, LK has had significant reduction in his thumb pain, increase his range of motion and avoided a significant surgery. The time has come to embrace joint restoration instead of all therapies directed at joint replacement. Prolotherapy is the injection of a proliferative agent which triggers a natural healing response. It has been successful in the treatment of many disorders including neck, shoulder, knee and ankle pain. Dr. Centeno recently published an article in The Journal of Prolotherapy in which he discusses the use of x-ray guidance with prolotherapy. This ensures that the injection is in the correct place to maximize clinical results. Dr. Centeno discusses the use of prolotherapy for the treatment of neck, knee, sacroillac joint, ankle, ischial tuberosity and shoulder pain. At the Centeno-Schultz Clinic x-ray guided prolotherapy is just one of the therapies utilized in the successful treatment of pain. 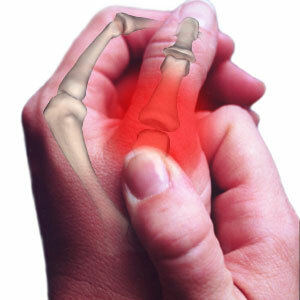 The joint at the base of the thumb allows for the swivel and pivoting motions of our thumb which we take for granted. The joint is referred to as the carpometacarpal joint (CMC) and is prone to arthritis and degneration of the cartilage. 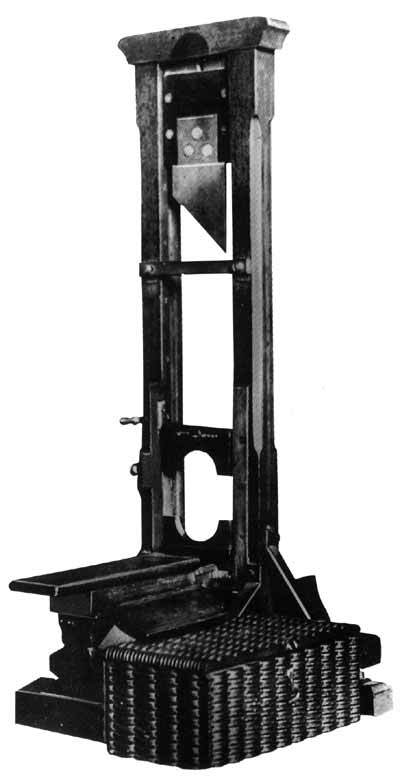 It is subjected to a large amount of stress as the thumb must be strong enough to conteract the force of four fingers put together. Excessive wear on the joint can lead to disruption of the supporting ligaments with displacement of the joint(subluxation). Commom symptoms of CMC arthritis include pain and swelling at the base of the thumb which are typically worse in the morning. Diagnosis is made by physical examination and confirmed with plain x-rays. Conservative Treatment options include anti-inflammatory medications, rest and splinting. Surgical options include fusion of the joint or removal of the joint and insertion of a tendon or plastic spacer. The disadvantage of surgery is loss of motion of the joint, extensive physical therapy, failure and the inherent risks associated with surgery and anesthesia. Rather than cut the damaged joint out, patients now have the option of repairing the cartilage utlizing their own stem cells. Regenexx is a simple needle-in, needle-out procedure which allows patients to use their own mesenchymal stem cells to repair damaged cartilage without the risk of disease transmission or rejection.